Hi, my name is Kristin Miller and I am the owner of Championship Martial Arts. When I was in my late 20s, I began my martial arts journey and the positive impact it had on my life was remarkable. It was always my dream to some day own my own school, and when I opened Championship Martial Arts in 2001, I made a commitment to our community in Glenview to create an enjoyable environment for students to improve their fitness while building confidence they can carry into their everyday lives. Our children's martial arts program creates leaders. We do this by teaching the same values you teach at home. Our adult program is second to none. 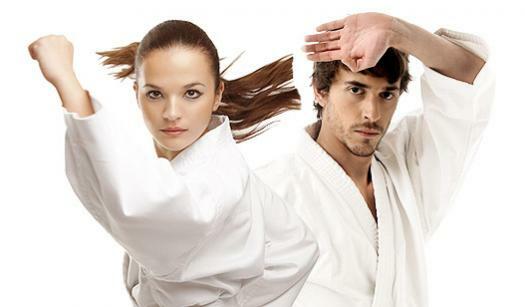 From traditional martial arts to more modern self-defense styles, there is something for everyone at Championship Martial Arts. If you are looking to burn major calories, learn self-defense moves and get in the best shape of your life, you must come and check out our program. My daughter has been taking classes here since she was 3 and is now 7. We even moved to Gurnee but still make the 25 minute drive to bring her here because we know there is no comparison with other schools. Sanjin is a great role model and I can't say enough good things about all of the instructors and staff. They provide a great mix of fun and discipline. I have a feeling my daughter will stick with this school for many years to come! Highly recommended! Very professional and the instructors are great with kids! Really makes my child feel a sense of accomplishment and belonging.